Shandan Farm is a 241 acre Estate consisting of the Main House, Coach House & Guest Quarters, Greenhouse, half-mile oval horse Track, extensive vinyl fencing around the open fields, and multiple farm related Outbuildings. The Main House was custom built in the late 1990’s by the current owner to replicate with “The Briars,” the home built in Natchez, Mississippi in 1818 for John Perkins, and now a National Historic Landmark. The house and 111 acres may be purchased for $2,500,000. The 130 acres and improvements for $495,000. The Briars is notable in history for being the home of Varina Howell, who married Jefferson Davis in the Drawing Room. The current owner’s Architect and custom builders assured that from the overall construction to the smallest detail, every item is of the finest authentic quality. Added is a full walk-out Lower Level to the brick walled formal garden and courtyard. The view from the rear of the house is of 2 one-half acre ponds, several Barns, Stable & rolling fields. Additional features on the cattle side include 2 ponds, cattle chute, Hay Barn, and Storage Buildings. LOVE WHERE YOU LIVE! Please, send me more information on this property: MLS# 1807592 – $2,995,000 – 19607 White Oak Road, Sutherland, VA 23885. 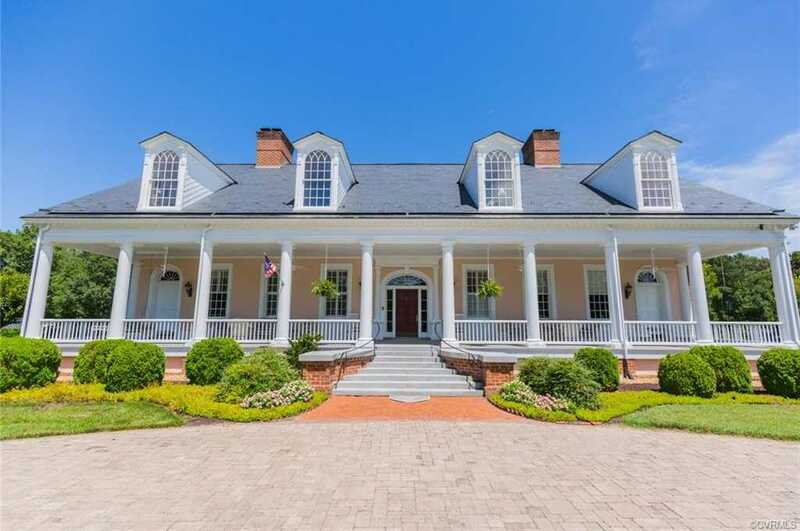 I would like to schedule a showing appointment for this property: MLS# 1807592 – $2,995,000 – 19607 White Oak Road, Sutherland, VA 23885.